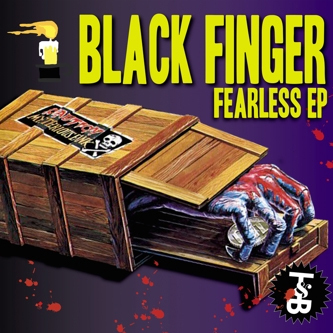 Trouble & Bass take another skulk around the Bassline estate with Black Finger's 'Fearless' EP tooled up with remixes from Supra1, Heavy Feet and Black Acre's DZ. Black Finger's two original tracks are the best here, with 'Fearless' and 'UMF' both cut as fierce rinsin' tools for the Bassline DJs. Supra1's remix adds extra frilly synthlines and a more feminine flow while Heavy Feet turn to a more electro-house styled Bassline version and DZ steps well away from his dubstep productions with a squealing wrigglers riddim.